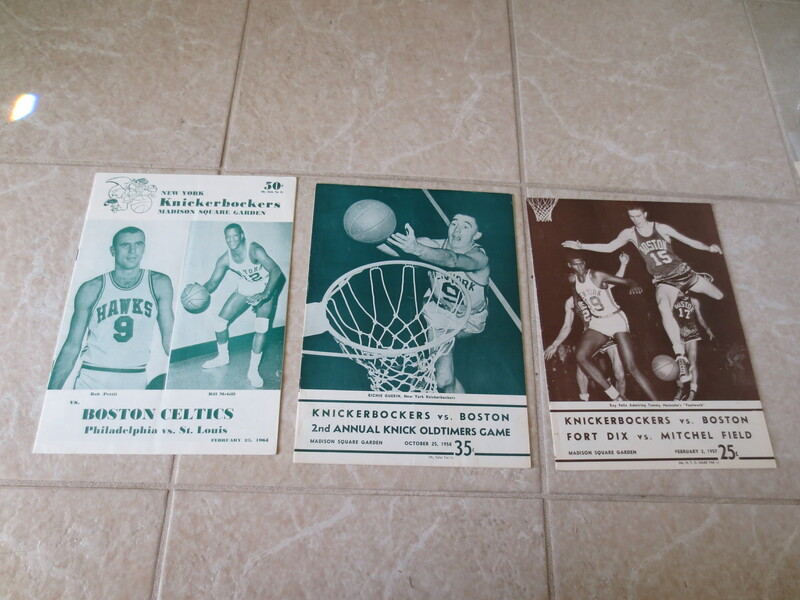 What we have here are three different early New York Knicks home programs. In each they face the Celtics. The first is from February 2, 1957 and has the Knicks playing the Celtics. The second has the Knicks playing the Celtics on October 25, 1958.